This category was added for my study abroad trip that begins today, May 16th. I am in Beijing and will travel to Xi’an, Xiamen, Chengdu, the Hakka Villages and various other day trips. We will have lectures at Peking University, Tiananmen Square, with the Pandas in Xi’an and around a meal of spicy foods in Chengdu. I have a home stay planned with perspective US students and interview with the natives of Hakka Village. We will be exploring the cities and country side while of course eating great food. Bon appetit to safe travels and hopefully learning some Chinese. After traveling through China I have a new appreciation for tea and have learned it proper characteristics as well as how to sip like royalty. The Chinese culture classifies tea as drinking it at different times between the day and you can find many natives with their own thermos that is being filled up from the streets, in convenient stores, restaurants ect. On our way to the Muslim Quarters in Chengdu we stopped at a part of the old city that is still in its original architecture which is my favorite part of China but also very sparse. We sampled three different teas and then spent time listening to ancient music instruments in the court yard. There is someone at the head of the table who brews the tea and you all get a small cup in order to sample many different kinds. It is also customary to offer tea to guests in your home so during interviews in many of the villages we were served cup after cup of fresh and exotic teas. I purchased one that had hints of chocolate and had been grown and picked in the Hakka village outside Xiamen where I was. Free Cuba out of the Amazon. Xiamen was by far my and many more on the trips favorite city to explore through. Arriving in Xiamen was at the end of two and a half busy busy weeks. Xiamen is also located on the shores of the lovely Pacific ocean nestled in a subtropical yet bustling city. Unfortunately we were not here for much time, but it was used to our fullest advantage. As described in one of the previous posts I was deathly ill because of what I choose to eat in Xiamen, but this doesn’t mean that I also had other amazing foods that settled well and kept me craving more. Xiamen as you probably know by now is home of seafood and knows how to cook it well no matter how ill oysters tend to make people hahah #choops. Our first meal in Xiamen was of course in a hotel and filled with many other foreigners. Our tour guides change every city and we have to remind them again and again that we are not their usual tourists and wish to be taken down dark allies to be fed in dives that serve China’s best and wildest meals! This is at least what I would request 🙂 Dreux however took a few of us to the island Gulongru one night to dine of delicious seafood. We wandered around for about an hour and a half between the narrow ally ways searching for a restaurant that looked pleasing and still open as it was a Sunday night. I guess the idea of things closing early on Sundays is universal!! We stationed ourselves at a classic seafood restaurant with tables outside and took our time in hand picking out what sea monsters we wanted to eat. They were cooked up and served piping hot. We sampled three different crabs, clams which were amaaaazing, and some other vegetables and tofu dishes. I packed some tissues which came in big handy for the whole table as we sat in the center of a bustling ally filled with shops, restaurants and bartering foreigners. This island is very touristy but much like Fisherman’s Warf a good kind of tourism that is tranquil and eclectic specific to that area! Xiamen was full of traveling and in between day one and three we traveled out to Chengwu to see one of the last walled cities in China. This used to be very common in China and with the spread of modernization the walls are either torn down or expanded. This sit has been of course altered in order to suit foreign tourists, but was gorgeously landscaped. After touring for a while many of us spent the rest of the afternoon as mermaids on large rocks boarding the Pacific Ocean. The rest of the night is explained in detail in my previous post. They were a little out of order but when you live in a cave-esque hotel room the internet is rough so you get what you get! The next day was back to Beijing where the trip had a very fast ending, but every minute was lived out fully, as always. In our last night in Xiamen I have already given much detail on how wondering the night was and how lovely the island of Guloungro is and I most definitely found myself realizing I wouldn’t be upset if we happened to miss the last ferry back to the mainland. This island is also located a mild ferry ride from Taiwan, my possible future home? Life plans aside this post is about the death of me on so many levels. The island is Xiamen is filled with seafood stands that keep your mouth watering next to the fresh fruit juice stands catering to whatever tropical treat pleases you. After having a great night on the island we decided to walk around for a while observing the island night life. In China there are endless amounts of venders selling jewerly, music, clothes, and all sorts of odds and ends. In one of the larger squares my friend was about to purchase some fun summery dresses when the island police stormed through having venders rush off gathering what they could of their products. This was exciting to be in the middle of and I felt as if I was a part of some riot that was getting busted. However, I was only a tourist swarmed by more tourists… not as exciting as my mind imagined. After all the commotion I stumbled upon a vender that had grilled oysters swimming in a minced garlic sauce. I hesitated as my dads voice of reason warned me to stay away from street food. However my rationality allowed me to justify that we were on an island so they must be fresh and obviously caught this morning. They were grilled so that meant they were fully cooked and of course everyone else was eating them so they must be delicious!! I even conviced my friends to get some and later we all dined on another after walking around for another half hour. We gave this man good business and he appreciated our forgieng ability to enjoy good food! Come 7am the next morning I was not in good shape. I never though i was on my death bed until experiencing something so horrible. A few hours of misery and some Chinese herbal medicines later I was passed out on the plane and off to Beijing. The Chinese medicine here is absolutely horrific but does the job unlike anything I have taken for an illness before. My stomach was in knots and hating me for overdosing on the devilish oysters the night before. After popping six small brown balls of what tasted (and smelled) like legit motor oil and also a powder that attacked me leaving me chugging all the water I could get my hands on I was ready and kicking. The next day I woke up semi recovered but alive and speaking, everyone in the group was pleased that Amy survived! This event definitely taught me a little lesson about how adventurous I can allow myself to be when eating foods in China. Moral of the story the things that happen to be the best may be the most dangerous but all in all I am still figuring out if I regret eating them. They were divine and small morsals of heaven that completed the trip making that night of the best food nights I have had yet in China and possibly my life. Who knows if it was worth though… too much of a good thing can definitely mean TOO MUCH!! This post is about traveling because part way through the trip that is exactly what we did. Between Xi’an and Xiamen we were all over the place. After leaving Guangzhou we were off to Xiamen but first made a few stops in Rural China. The first day we actually ventured to the Hakka Villages about 2 to 3 hours outside Xiamen. The Hakka people came from northern China later than many other Chinese people because they forgot their wallets and needed to make some returns home, jokes jokes but the rest is history and covered over one of our many lectures. Besides all the nonsense their historical backgrounds are very interesting and throughout the years of Chinese development they have been viewed as foreigners and are live a slightly different Chinese culture than the rest of Mainland China. Their villages are built in large circles that hold an entire clan with a courtyard in the middle. This area is open to many tourists today which at first glance is upsetting and made me upset with modernization. The Hakka villages are however where we were granted the opportunity to collect information from interviews and after hours of conversation with the locals I learned to appreciate the gifts of tourism. This area that we toured and observed is affected by tourism in a positive way allowing people in the villages to stay here and have a flourishing life. The man we talked with from the Ke clan explained how in the past the families were barely able to produce enough food for their families but today the government contributes so much money to their land that they are able to prosper and do not have to move to the city in order to survive. This experience was a wonderful one as we sat in a small alcove in the Hakka village owned by the Ke clan drinking cup after cup of divine tea. I guess to be fair we came into Xiamen with a good attitude and were most likely going to enjoy any experience thrown at us. Following our adventures in Hakka village we stayed a night in Dragon’s Platform in order to break up the travels and of course to observe more of China’s rural history. Our time in Dragon’s Platform also happened to lapse with one of our own’s twenty-first birthday! This of course called for a celebration and lucky us there was a flashy KTV attached to our fancy dancy hotel. KTV is Karaoke and big big big in China, these clubs are the place to be any day of the week. A few of us who survived the days travels dressed up and headed downstairs. You are placed in your own private room so the more the merrier and wilder! Since only of us has strong Chinese heritage we definitely stuck out like American college kids… allowing us to get taken advantage of, and that are exactly what happened. A woman met us as we walked up to the entrance screaming in Chinese the “rules” to KTV and showed us to our room, Fei (the only one who can speak Chinese) explained that she was the owner’s daughter and also happened to be hammered. She set us up with drinks and snacks so at first all seemed to be going well. About an hour and a half later we were stuck in a stuffy KTV room with a strobe light blasting away to Chinese music as our drunkie skunkie friend screaaaaamed Chinese lyrics into the microphone. Her male friends started to join us and things got weird… haha Fei decided to venture out and find her “father” who also supposedly owned the club. The manager stormed in livid that these imposters were of no relation to him, drank our beers and rained on our birthday celebrations. Writing about this night does not do justice to the actual event but if you can imagine sitting in a KTV room with William Hung on full volume… #roughlyfe. Not to fret the next day we were on our way to Xiamen but made a “quick” stop at another museum, which happened to be outside in 109-degree weather. I have never experienced myself sweating so much especially when you are simply standing still… now I guess I know what it is like to be cooked alive. The past few cities including Guangzhou and Xiamen are very far south and hotsy totsy as all hell! Next up in the lovely and most adored Xiamen, this post wasn’t about food (how shocking) but that does not mean we missed the odds and ends of the culture via digestion. As I have stated in other posts the way to enjoy Chinese food properly is of course with chop sticks and also with many people. The time our group spends the most together is around a large lazy susan gushing about the day or eager to start a day. Dishes are brought to us the second we sit down and don’t stop until we are about to explode! As each city is introduced to me I am more and more enthralled in its adventures and cuisine. Thus I bring you ‘Sharing in Xi’an’… my new favorite city in China or at least it is higher on my list than poor Beijing. We arrived in Xi’an at 4:30 in the morning and we were woken up by bright lights and loud Chinese chatter. The beds were not comfortable and using my bumpy lumpy backpack as my pillow did not make it any better of an experience but that is exactly what it is… an experience. Upon arrival at the hotel the room wasn’t ready and the breakfast buffet wasn’t set … so we sat. This was not the worst since all of us were too tired to function anyway. The breakfast was served hot and fresh at 7:00 am and we were a few of the firsts to be in line. Breakfast in China consists of various vegetable dishes, with staples like hard boiled eggs soaked in tea and grease sticks to dip in sugary warm milk. This buffet also offered a yogurt drink that is like plain yogurt you slurp out with a straw, it doesn’t sound like anything amazing but I always found myself downing at least two for breakfast along with mini Chinese cucumbers. All the food here is amazing but my body craves fresh veggies every once in a while and this buffet hit the spot. Xi’an food had its ups and downs as our tour guide decided to take us to a “Chinese” buffet. This was in an elaborate looking hotel, which should of belonged in Disney Land. There was also nothing traditional about this meal and that was apparent by the swarms of foreigners rushing to get fed as well as the rough translations of the meal choices. Mashed potatoes were labeled as Soil Bean Mud and after examination it could make sense that a potato which didn’t originate in the Chinese culture could be considered a “soil bean” but where the “mud” came from … no one knows! There was also a meat with “burnt potatoes” dish which were really only in an orange colored sauce that tasted like some kind of Salsberry Steak sauce, but at least they labeled the correct vegetable. The “Various Vegetables with Fungus” dish was appetizing despite the name, which was really only a veggie and mushroom stir fry. Finally to top it all off located next to the French fries (is that necessary?) there was speghetti and the sauce was called “Meat and Ketchup” or also commonly known as meat sauce! To say the least, we did not dine here again or anything similar to the likes. Xi’an is also where we sampled our first hot pot, on our way to the Muslim Quarters. This was nothing like the hot pot in Chengdu, but was still a tasty meal. We were all given our own individual hot pots with boiling water and were able to combine whatever we wanted. My hot pot consisted of every vegetable on the table and eggs, which you cracked into the hot pot and waited for it to become like a hard boiled egg… yum yumm yummmmy! There were also some meats sliced thinly, some pork and mutton, these were very good with all the other flavors. A sauce was also composed to dip the hot pot contents in after they were cooked, I loaded mine with garlic and ginger, of course! To end the meal we had fried bread that is like a little donut that we dipped in a phenomenal frosting …this actually ended up being condensed milk… still simply amazing! There were many more amazing meals that wowed my taste buds but this is all for ‘Sharing in Xi’an’… bon appetit! The title of this post is a quote by the all hailed Chairman Mao. Since this is a Chinese history course I have began to understand the importance that Mao has on the Chinese culture and his presence that still is visible in many homes and establishments. I liked this quote and decided to apply it to my own life, thus the title of this post. This post is exploring the foods of Chengdu. Chengdu is in the Sichuan province of China and is well known for its ability to wow the taste buds with Chinese spices that leave you sweating but definitely wanting more. As a home grown America my ability to enjoy spicy food is low but as one of my goals for this trip I wish to increase my spicy food tolerance and Chengdu helped me accomplish this. 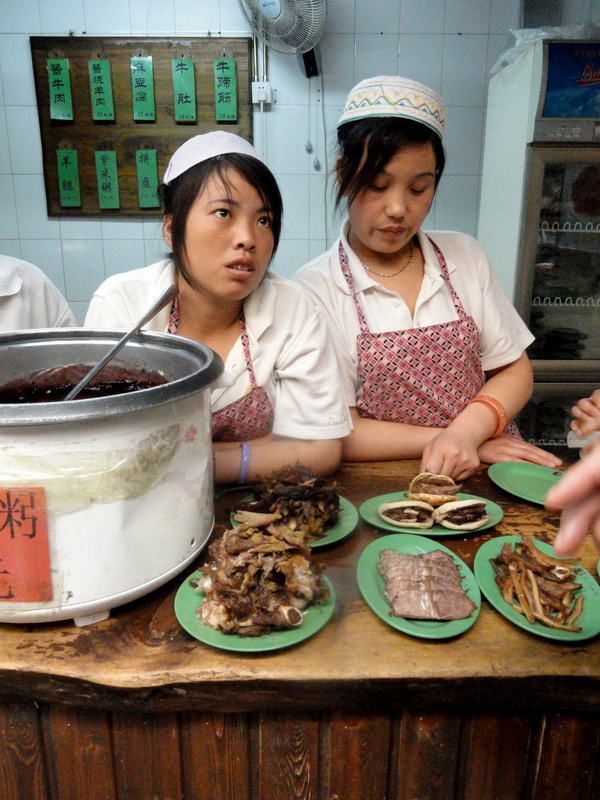 Hot pot is found all over China but varies with ingredients and style depending on where in China you sample it. Since Sichuan is of course famous for its spicy food I decided to sample the spicy hot pot. They start with hot soup that is either spicy or mild and once it is boiling you add vegetables or various meats and when they are cooked you pick out what you want to eat and dip it in a sauce, simple enough? Not so fast. The meats and vegetables are like nooooothing I have ever dreamed of eating and I have never had so much fun eating. This meal was also enjoyed with our home stay friends and they informed were able to give us insights on what the real ways were to enjoy hot pot. I tried my best to make sure I sampled everything at least once and this left me with a few things I loved, liked and absolutely hated!! For starters the most bizarre thing was the blood, actual duck blood. When the animal is killed they drain the blood into a salt solution so it coagulates, turning it into a jello like substance. It is supposed to be good for stomach aches but it made mine a little queasy. This delicacy is definitely a mind over matter option that my mind would not let me fully enjoy. There were all different kinds of the body, some grey and purplelish ball with spkes coming out from every direction is located in the body next to the heart… The boys at our table refused to let us know what everything was until after the meal so that we would be sure to try everything. That being said there were some “noodles” which turned out to be sliced intestine… ahhhh scaretastic! 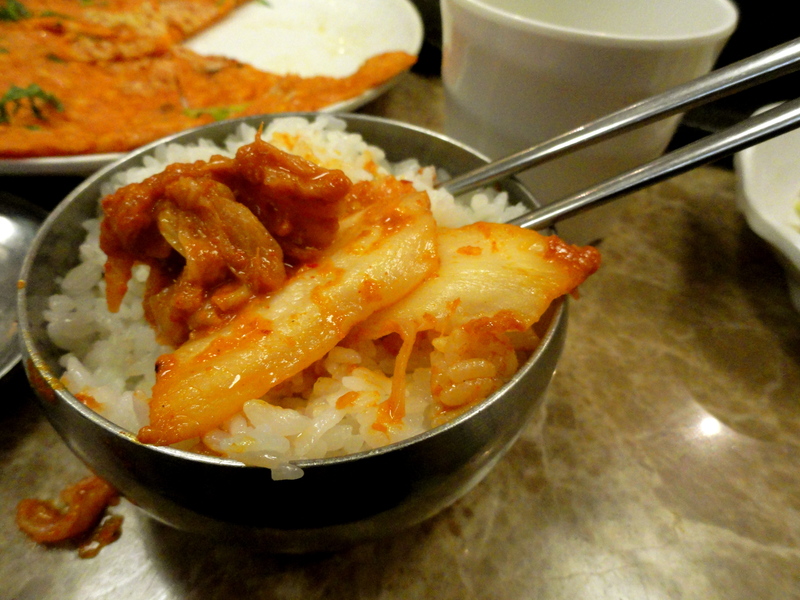 There was stomach again, which I have actually, and a little embarrassingly, started to enjoy. There were Chinese sausages which never seemed to be fully cooked but were also rather tasty. The skin on the outside was a little thicker than sausages in the US which made them juicier on the inside.. but who knows what they had on the inside seeing that the Chinese use every single piece of meat from the animals. These also looked strikingly like fingers which was not a far fetched idea for the Chinese. The other options were a sheet of grey spiky something that curled up when you cooked it and a piece even came out looking just like Buckingham Badger himself. Finally there were some wild looking seafoods and vegetables but another favorite was this bacon type meat that was very fatty and full of flavor! The vegetables were obviously my favorite which was nice to have in place of the bizarre odds and ends of animals. In order to combat the spiceyness of the meal there is a special tea served, all over Chengdu and in the Sichuan province, that helps cut the spices and tastes delicisous. Besides the food in China I am falling head over heals in love with the teas. 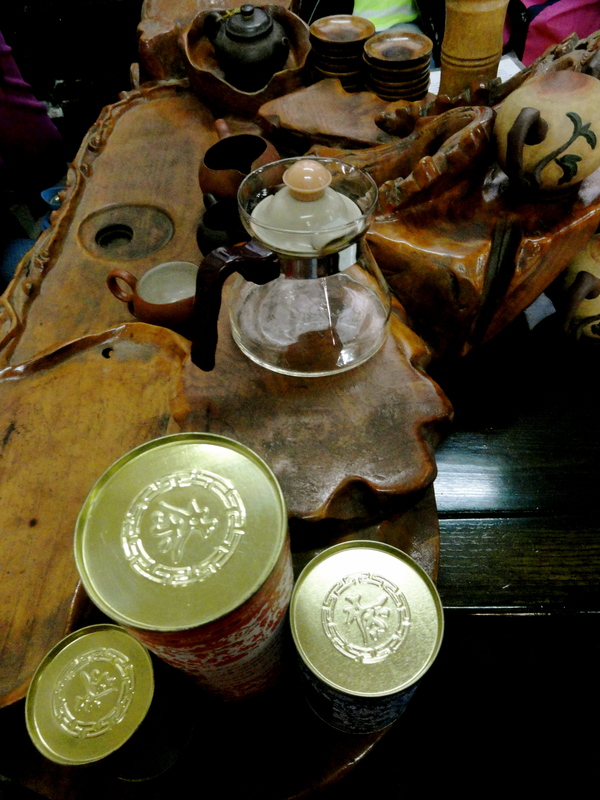 The Chinese drink tea morning, noon and evening as well as all times inbetween. It is pronounced Cha in Chinese and served at each meal making my heart go #pitterpatter. 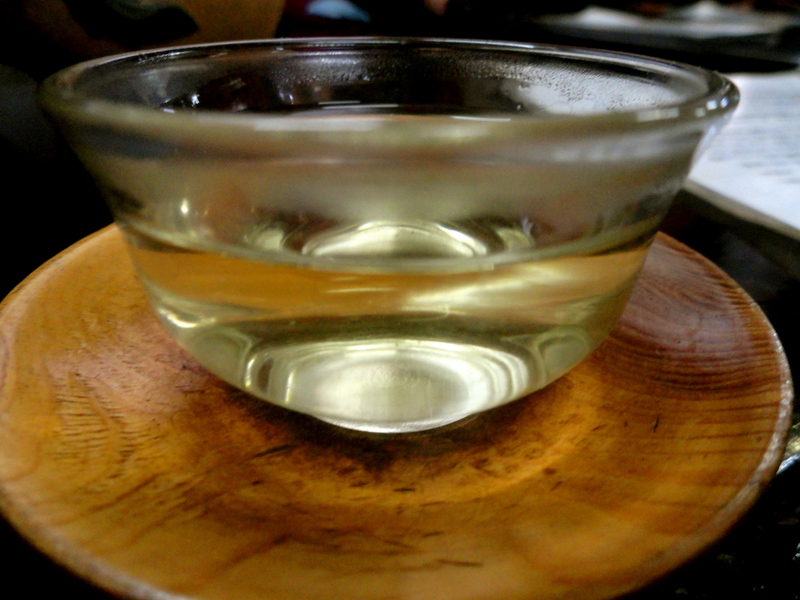 Most restruants serve variations of Oolong tea which has gotten a bit old but we have been able to experience a few tea cerimonies which allow us to sample a few at a time. Bon Appetit to enjoying spicy foods and stay posted for the photoshoot of Chengdu’s adventurous cuisines. A continuation on part one of my Beijing adventures. Beijing was an amazing city to be in but because of our lack of sleep from the thirteen-hour plane ride and then attempting to adjust to the thirteen-hour time different there were some outside factors working against us. It may not have helped either that our hotel room was sketchtastic!! The hallways were barely lit, the beds were almost on the ground, the maids and hotel staff spoke absolutely no English, the bathtub was a good foot and a half above the ground and covered in black grime… just to name a few mishaps. However, at the end of the trip (in a few days) we will be returning to lovely Beijing and I have not let these things taint my entire perception of the city. As my first experience in China I was still successful in finding some beauty, present in the cuisine of course. 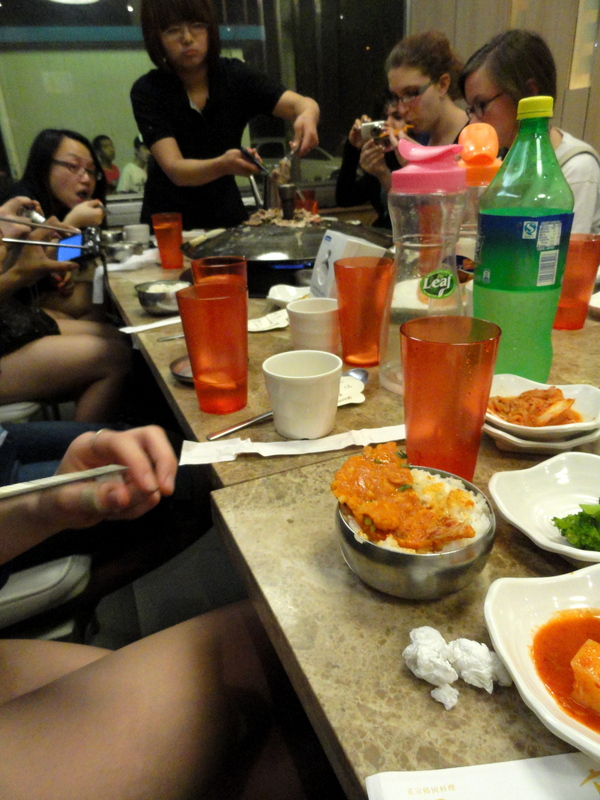 Our first night was at a Korean BBQ restaurant which I have already given full detail on the delectable meal we all shared as we were awkwardly trying to make good first impressions without passing out right there at the table. The second night Dreux chose to have us venture to a Thai Restaurant that is still, halfway through the trip, many peoples favorite meal. This restaurant had elaborate decorations to set you in a time far from today. In the middle of our meal Philippine dancers and singers were attracted to our table full of beaming tourists. Patrick, at the time the only male, was asked to dance and sing along with the band while only moments later we were all encouraged to join around. The group of performers had us in a circle around our table singing a mashup of Justin Bieber, Baby, leading into Black Eyed Peas, It’s Gonna be a Good Night. I am most certain these are the only American songs they knew how to sing but it was easy to say we had a fun experience entertaining ourselves, as well as the rest of the restaurant. The food on the other hand was phenomenal!! Thai tends to be spicy so I tried to ‘man-up’ and sample as much as I could. The few that stuck out to me and would be hard to forget are the curries! The first one was a pumpkin curry with chicken and various vegetables and was actually served in a petite pumpkin. This dish also had large pumpkin chunks and a lot of pumpkin meat soaking up all the juices. There was also chicken curry, which arrived when we were all beyond our eating limits but that definitely did not stop us because the coconut curry with the various vegetables and chicken was a wonderful way to top off a great meal. I sampled fried eel here, which was a first for me, and also very very delicious. The squid was out of this world but full of spicy spices so only a few bites was what I could handle. There was also a soup with oysters and noodles that disappeared very quickly and many more yummy dishes with various seafood and meats. Beijing was also known for its food outside the Chinese category. Close to the hotel we found a tiny little bakery that was perfect for an uneasy stomach or a quick snack. The best part about our new found hot spot were the cakes. I did not sample any but a quarter of the bakery was dedicated to women decorating elaborate cakes behind a glass window. Look out for pictures coming soon to give you a glimpse at their decorating abilities and prove that art is most definitely found in foods. One of my favorite meals from the trip thus far was when we were in Old Beijing. We had a lecture that was given in various palaces and then ended with a stroll through a park and the professor finally took us to a little gem nestled in the allies of Old Beijing. Old Beijing has a lot of history and this part of the city made it a priority to keep the buildings of years ago intact and restored. The streets are narrow and most people are walking through small allies leading every which way. The architecture is gorgeous and much more elaborate and historical than anything you would find in the States. Where we ended up for lunch was a Chinese style cafeteria? I am not quite certain what to call it but I know it was traditional and not a tourist hot spot, which happens to be my favorite kind. We sampled umpteenmillion things because the way you eat in China is done by ordering many dishes and having everyone share, this allows us all to try a wider variety of foods! Here I sampled a few firsts, to start with there was the Stomach of an Ox which I LOVED!! 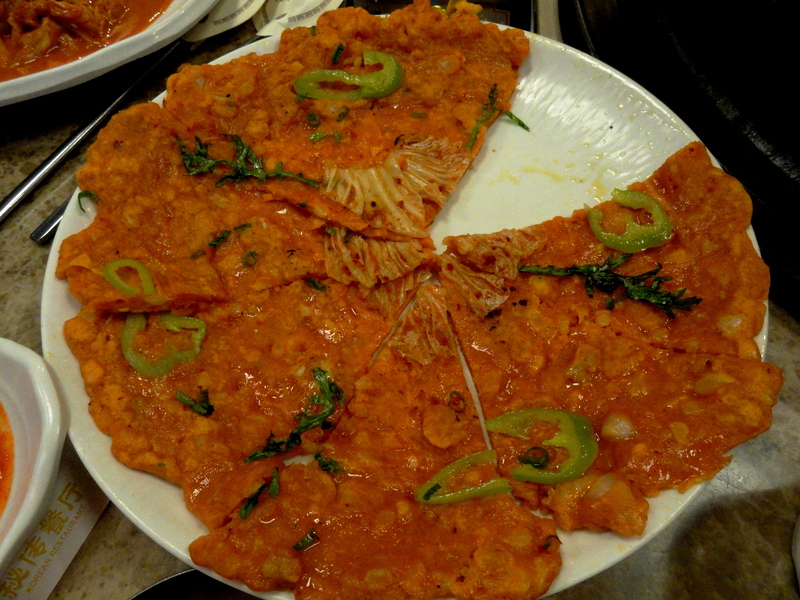 The shape was hard to conquer but once you did, there was no turning back because your taste buds were in heaven. It kind of looks like the plastic curtains that are hanging in hotels sometimes that you have to line up and slide to open, except old ones that are missing a few… if that draws a clear enough picture. There was also a dish with tons of different mushrooms including Wood Ear, which is a black fungus. The rest was obviously so good and there were too many for me to remember. As my last meal here we were in a crunch time to snack quick and hop on a train to Xi’an so a few of us decided to grab some Pizza Hut. I was very reluctant because I swore to myself to stay far away from American food during this trip. However, the company was lovely and the experience was far from the American Pizza Hut. The sit down service and friendly waiters made us feel at home and obviously gave the locals a taste of American dining, however I am not to sure if that is a positive aspect or not haha. Next was off to Xi’an to explore more of the Chinese historical culture and hopefully sample some more divine cuisines. Today was our first busy day in Beijing and tomorrow we are already leaving. We started bright and early with breakfast that was so unlike anything I have ever had. The popular dish is a donutesque option that is literally translated as grease stick. There are also a lot of vegetable dishes, fried rice, hard-boiled eggs that are brown as if dipped in something and various bread goodies. We then hopped on a bus to tour old Beijing complete with the Prince Goung’s Palace and Soong Ching Ling’s Palace, I hope those names are correct! We then had our first traditional Chinese meal tucked away in an ally of Old Beijing. This was the most rare selection of foods I have ever sampled and am quite proud of myself for being so adventurous. There was a slew of options but from what I remember we had “snacks” which were chosen from an ally of stalls making different foods. There were also entrees we ordered and shared family style. One of my favorite pictures because of these girls and the foods in front of them is an assortment of unidentified meats, haha questionable but delicious. 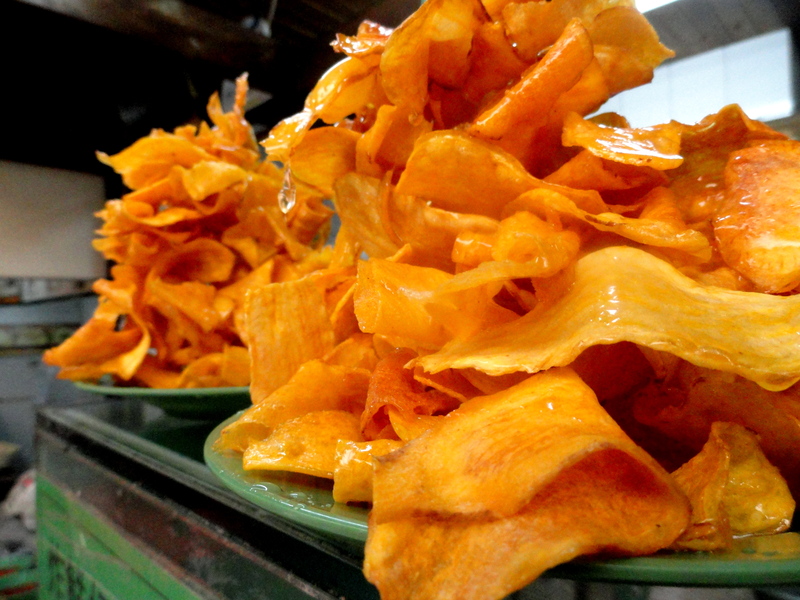 We didn’t get to sample these but they are crispy yam roots drizzled with honey! !